All Walls Must Fall [official site] is the first commercial release from inbetweengames, the indie studio founded by former members of Yager, developers of Spec Ops: The Line. It’s a “tech-noir tactics game” set in Berlin 2089. This is a Berlin still divided by a wall and a world where the Cold War never ended. To navigate its perils and its nightlife, you’ll use a combination of social stealth, time travel and combat. It looks delicious, like a propaganda-powered, post-Syndicate dream. Almost everything that inbetweengames have said about the game makes me hungry for more. Here are the basics though: it’s a pausable real-time tactical game with procedural levels, actions performed to the beat of music, simulated crowds and destructible objects, and a story that involves time travel, geopolitics, love and oppression. I’m pleased that nightclubs seem to play a big part in the setting, not only because that fits with my memories of actual Berlin but because I’d quite like every action scene to take place in a nightclub. The finest scene in the very fine John Wick is a good, recent example of the form. All Walls Must Fall will have “synaesthetic nightclub environments and audio”, apparently, which sounds like an excellent thing to include in a game. It’s not yet clear how the time manipulation mechanics and social stealth will play out but I’m keen to see more. And I’m just as excited to see what inbetweengames will pull off with the plotting and setting. I liked Spec Ops: The Line well enough but it felt like an interesting piece of characterisation and commentary straining against the structure and realities of a big budget third-person shooter. In some ways that was the ideal vessel for the story but All Walls Must Fall looks like it’s taking some of the ideas – from investigation of politics and social structures to the use of graffiti, posters and propaganda – to far more interesting spaces. Early Access is set to begin in Autumn. For more info, point your browser and face at this devblog post. 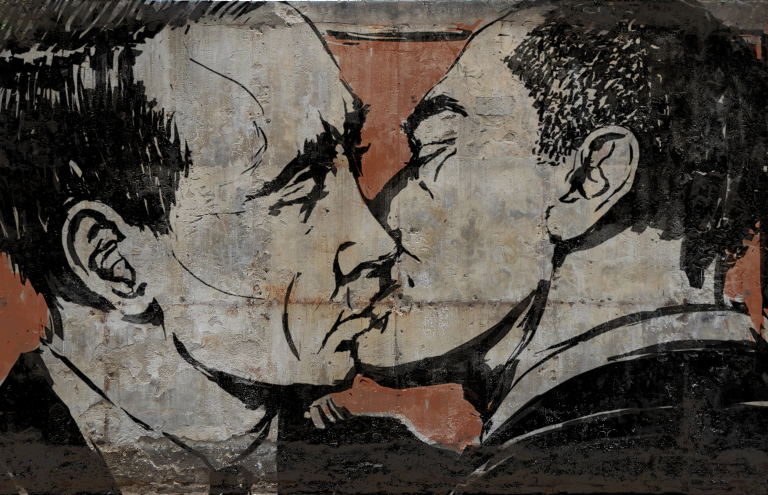 Tagged with inbetweengames, All Walls Must Fall, Spec Ops: The Line.